Try with audio pc only. I did and I like the sound of WS2019. I have decided to try WS2019/AO3 Beta on a laptop that I have that is surplus to requirements. I will install a single PC setup for trial puposes. I don't wan to mess up the dual PC setup I have in my audio system with WS2016/AO2.20 as it is providing music and sounding very good. Will I be able to install JPLAY Femto on this single PC test install or am I limited to the two activations that I have already used. Today I changed the Windows Server 2016 GUI of Control-PC through the Windows Server 2019 GUI. The idea is to do everything little by little, to have a perfect understanding of the improvements and to be able to attribute the responsibility for them to perfection. Therefore, since the previous installation didn't have the Audiophile Optimizer v. 2.20, for now I'll listen without v. 3.00 Beta. I'm using the trial version so that I can decide on the steps I'll take in the future. The first thing that strikes me is that installing the Server 2019 GUI requires slightly less space than the 2016 GUI. While for 2016 I needed a VHD with 14GB, I was able to install 2019 on a VHD with only 12GB, but I decided to finally leave one with 13GB, to have a bit of flexibility. Regarding the sound, I listened today for a few hours and I'll still return with the VHD of the Server 2016 GUI to confirm the impressions. The impression I had is that the Server 2019 GUI in Control-PC and without any kind of fine-tuning (for now) delivers the same level of body, richness of harmonics, delicacy, fluidity and musicality, but with a little more resolution and better sound stage. I listened to four reference records and I got that clear impression. I also found that there's more fluidity in using BubbleUPnP with Windows Server 2019 and JPLAY FEMTO. I don't know why this happens, but there's no doubt that navigation is faster and smoother. So, with the change of operating systems, the momentary impression is that there's a clear and distinct improvement, but without there being any kind of revolution in my system. Between paying the price to switch from Server 2016 to Server 2019 and buying a JCAT USB FEMTO Card or NET Card FEMTO, I'd definitely buy these cards. This, I repeat, as a first impression. After all, I tried to install the Audiophile Optimizer (without applying it, for now). However, I was unable to install. It's all the time asking me to insert the Windows installation disc, but even emulating the ISO file or transferring it to the USB stick (its files, not it), I couldn't solve the problem. Has anyone experienced this and has any tips? I couldn't install it at all. Are you using Beta 28 or Beta 29? If you are on beta 28 update to Beta 29. You need the original and unaltered source ISO of Windows. Either on a DVD-Rom, extracted on a USB drive (do NOT just copy the ISO onto the usb stick!) or mounted via powershell (mount-diskimage) or just mount the ISO in explorer if you are not in Core mode. Where am I coming from: for the last 6 months, especially since JPLAY FEMTO release on 10/31/2018, I've been hooked running WS2019 Standard on both PCs as in dualPC. Without AO availability, and thanks to JPLAY Forum goers (Nobi, Milen, and Minorisuke), I managed to install WS2019 Standard (Core) with FOD (Features On Demand) ISO, inject KS driver capability to the system, customize the CAD 8.1 scripts, and enjoy the wondeful music flowing out from the setup. Basically, it was a warm very easy to listen to kind of SQ. For the purpose of comparison I call it base line SQ. Fast forwarding to last Tuesday 1/22/2019 when AO3 Beta test was announced, I'm one of those who applied to be a Beta tester and accepted. Not wasting any time, I started right away with the AudioPC, leaving the controlPC unchanged thinking it'd be best to change one PC at a time. That's the first mistake. Fresh installation of OS on AudioPC went well, but what pleasantly surprised me was how quickly, smoothly, and precisely the installation of AO3 went. As long as there's Internet connection, the AO3 gets installed, configured, and executed blazingly fast and with ease, just like it says, "sit back and relax". As a clumsy tinkerer like me who had struggled endlessly to achieve the KS injection, Device Manager capability (a must for successfully installing drivers), more than anyone else I understand and appreciate the value of brainwork, time consumption, and labor put into this achievement. The end result in execution of commands and operations is very well done, to say the least. It clearly outperforms the AO 2.20 in speed and sanity of execution. Eager to hear AO3 firsthand, I let the unchanged controlPC stream music onto the AO3 optimized AudioPC and had a listen. This manifested the first mistake. Upon the short listen I found the new SQ a mixed bag. While it seemed more "sophisticated" (for lack of better word) sounding, clearer, cleaner background, there's a touch of grain in the highs that made me not want to continue. "Since the CAD scripts are available and have been serving me well, why not utilize them just to see what they can do to improve the sound? ", I thought and did it. That's the second mistake I made that produces misleading results as shown above. The rest is known to everyone. AO3 author promptly corrected me, and I'm here writing a report on an ongoing test, hopefully done with more ethics and competency. Another fast forwarding to Friday 1/25/2019. Most current AO3 is Beta 29 so that's the version to be installed on both PCs. Fresh OS, chipset, drivers, static IP, JPLAY, and AO3 have been installed properly. Before sounding off, there're a few notes and observations: 1/ unless Shell replacement has impact on SQ, I'll leave it to others to chime in and discuss 2/ disabling JPLAY FEMTO is already done on AudioPC, how about choice of disabling JPLAY Service on ControlPC? 3/ there're a number of extraneous processes and services that are still running while not appearing to contribute to the music playback or JPLAY. Can AO3 terminate them? Now and finally, onto the sound quality. The short version is, it is shockingly good. The level of improvement is as impressive as JPLAY Femto when the latter was released over 3 months ago. With the AO3 optimizing dualPC running WS2019 and JPLAY Femto, the resulted SQ is stunning clear, detailed, and emotion conveying, scaling musically and effortlessly with most if not all music genres no matter how fast or slow the music is played. What keeps on coming to mind is, "Wow, what a Trinity of AO3, JPLAY, and WS2019". While listening, it's easier to switch (or be switched) from analytical mode to pleasure mode than vice versa. There's a clearer sense of weight, confidence, decisiveness vs music played in baseline setup. It's much easier to "see" what happing in recordings, more sense of ambience and depth sometimes audible from the first second into recording. As I mentioned in the previous post, I switched from Windows Server 2016 Standard GUI to Server 2019 Standard GUI on Control-PC. Today, with a cool head, I was able to install the Audiophile Optimizer v. 3.00 Beta 30. I believe the ISO file I downloaded from Microsoft's website was corrupted. It was enough to download again that everything went well. At first, after installing and applying the Audiophile Optimizer, with which I turned off everything I could, I noticed that Windows was still running with a high number of processes (77) and a good amount of allocated RAM (1.3GB). I manually disabled some services and was able to run 65 processes and use 1.2GB of RAM. I also found the processing quite high, even using only the JPLAY FEMTO and the Audiophile Optimizer v. 3.00 Beta 30. I couldn't reduce 5% during playback of 44.1KHz/16bit files, which is enough for this simple task and for a Core i7. In the monitoring of activities, I couldn't identify something that, in isolation, indicates some disturbance in the processing. Even with the music stopped processing doesn't decrease from 3%. After running the compacting feature, the space used by Windows has decreased to 9.5GB, which is very little for a GUI operating system. Regarding the sound, it's less bright, more natural, relaxed, with the basses with precision and cut in a level far superior and with dynamic variations much more punctuated. The differences between the pianissimo and the fortissimo are much more outstanding. I'm currently using the 4D filter, the same as the Audio-PC, so there's still a lot to try out. Clearly there's more information, more musical content, and more and more I feel that I'm arriving at an "ultimate" software configuration. However, certainly due to hardware limitations, in Control-PC there was no revolution. There's a clear gain, which in the overall set means something fantastic (because the whole system is better than yet), but in isolation, the cost-effectiveness of buying Windows Server 2019 Standard is low. There's no doubt that Windows Server 2019 has more quality than Windows Server 2016, it's more accurate, more subtle, with better sound stage, but, on a limited budget, between buying a JCAT USB FEMTO Card and buying a Windows Server 2019, I'd certainly keep Server 2016, buy the USB card and install the Audiophile Optimizer. This is undoubtedly a more cost-effective option. With unlimited budget, I'd buy all three. Tomorrow I'll try to install Windows Server 2019 Standard Core and Audiophile Optimizer v. 3.00 Beta 30 on the Audio-PC and send it all to the RAM (the same thing I do with Server 2016). This computer has more level and transparency to show any differences, besides allowing me a more direct comparison between the versions of Audiophile Optimizer. I've never tried (and don't intend to try for now) various combinations of methods to optimize the system. At least without my hearing, I find it a contradiction to combine Audiophile Optimizer with Fidelizer, CAD scripts and Process Lasso. It's still something I need to debug and test calmly. Without prejudice, I've already tested all of them in isolation, and working in this way, I deem it impossible to be without the Audiophile Optimizer. Maybe in the future use software combinations. For now, the Audiophile Optimizer is my first choice. Today I've heard from simplistic and emotive country songs to orchestras of high complexity and high level of difficulty. I don't know if the software combination actually improves something or if it just makes the system play to the tastes of the owner, but during my critical auditions, it never occurred to me at the time that I might want sound other than that of Audiophile Optimizer optimizations deliver. Performance I want more, but not at the expense of this rich, euphonic and natural sound. Very good, thanks to all of you for your feedback and taking the time to test things. Looking forward to much achievments during this beta phase! I'm at this moment using the Server 2019 Core + Audiophile Optimizer v. 3.00 Beta 30 + JPLAY FEMTO in Audio-PC and Server 2019 GUI with the same software in Control-PC. The high number of processes continues to attract attention. In Audio-PC I didn't make any kind of alteration of my own (I just installed the software and configured it as I did before), and even being a Windows Server in Core mode, it's running with something like 58 background processes. Undoubtedly it's the best setup I've ever gotten, it's the method that makes the two computers deliver the best audio I've ever heard on my own system, but what I'd like to write in this posting is about the responsibility for the gains I made with the changes software. Comparing the four operating systems written in VHD files, I had the distinct impression that the responsibility for improving audio quality is more of Windows Server 2019 than Audiophile Optimizer v. 3.00 Beta 30. I mean, with this, that Windows Server 2016 is much more dependent on Audiophile Optimizer v. 2.20 than Server 2019 is from v. 3.00, or, in other words, v. 2.20 helps Server 2016 much more than v. 3.00 helps Server 2019, using exactly the same tuning settings. I believe that this is part of the process of creating and evolving a Beta version (which is just to feel the improvements and adjust them over time), but I found this registry important. Finally, in Audio-PC I have always used and always enjoyed the 4D filters, but applying the same filters in the Control-PC I got the impression that the treble became excessively smooth (although there's a clear overall gain). They remain very delicate, there's a lot of musicality, but the exaggerated "soft" sound, to my ears, sounds a bit unreal (certain metallic instruments denote this clearly). They lack a bit of brightness, of excitement, something that doesn't happen without the Audiophile Optimizer v. 3.00 Beta 30. With more time I'll try the application of different filter combinations. Do you have any suggestions? Interesting findings, Felipe. Can you try X/X as SS/DF combo and let us know? Try 4A... in my experience is just what you are looking for ! For my ears that is the best combination. 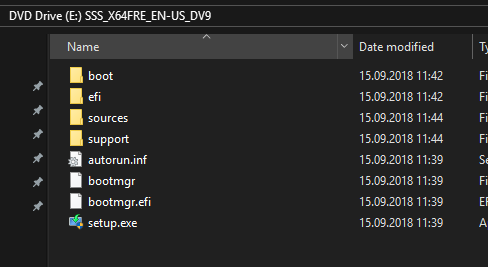 I've pointed out 5 months ago about too many processes running on WS2019. Phil, is there any way to reduce them further with AO3? Of course there‘s more potential to reduce services. As I am telling since man years this is not nearly as important as people think. Many other things have way way bigger impact on SQ than this. But it‘s on my list and during the next beta‘s we‘ll certainly see less processes than at the moment. Thanks for sharing. Time for me to experiment with SS/DF other than X/X. X is what windows uses as default value. This applies for both sound signatures and digital filters. 1-4 are the four options with different values that AO brings into the game. In most scenarios one of them sounds better than the windows default. But in some cases X might be the better choice. With the new update AO3.30 Beta there are even more processes. For example on audio PC I use to have 25 windows processes with AO3.0 Beta - now they've increased to 36. Indeed. I've just tried 1A/2D, 1A/4D, and X/X. They're all sounding good but I vote for 1A/4D. Enya's voice on Dark Island album comes thru as the most natural, fleshed out, and fluid. Same for vocals on Angels and Saints at Ephesus. The Earthquake, an over 9 minute long track from Alex Lafoco's Beyond album, with its extremely fast, dynamic pace and complex instrumental mix, sounds effortlessly on the headphones while inviting me to listen until the end without a hint of harshness. Angel Romero's A Touch of Class, recorded back in 1988, are being rediscovered as a sweet, rich, delicious classical guitar playing. When listening to Rachel Podger's playing La Stravaganza DSD album, the staccato on her Stradivarius violin comes thru as sharp even screechy but pleasantly so, never a hint of hostility to the ears. In all of those incidents, the 1A/4D comes out as winner to these ears. AO3 Betas 28-30 have made Jplay Femto/BubbleUPnP playback on WS2019 noticeably snappier, less hiccups. Even the OS operations on both AudioPC and controlPC run smoother. I'm wholeheartedly looking forward to incoming Beta releases.